Welcome back! Today is basically a continuation of yesterday. As I'm slowly going through these verses, I'm noticing how each quality builds on the one before it. Today is no different. 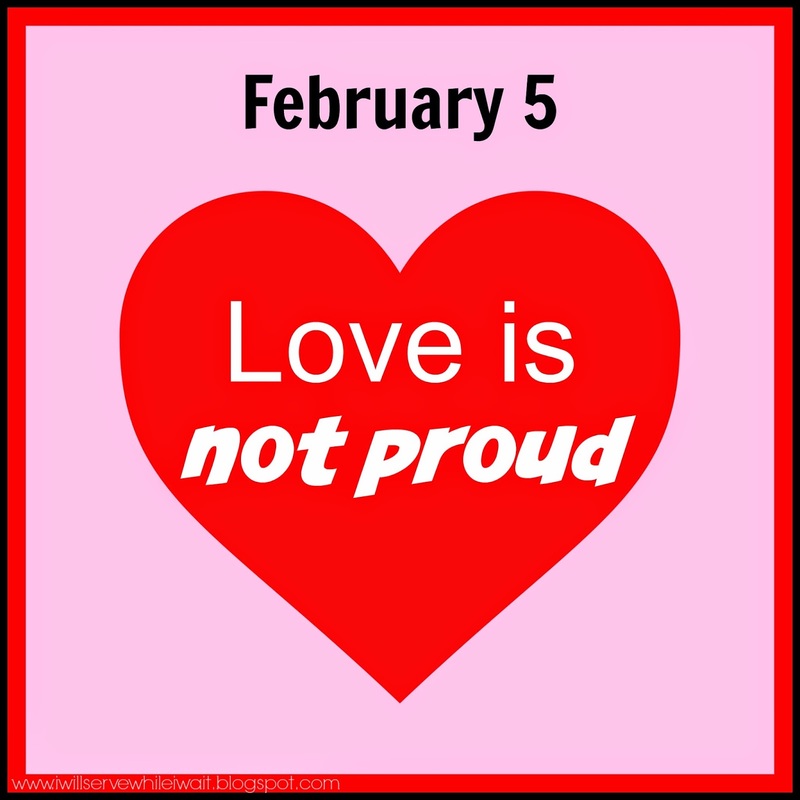 Yesterday we learned that love does not boast and today's characteristic is love is not proud. Upon first glance, it might appear that these two go hand in hand. But, pride is more serious than boasting. The definitions (thanks to Google!) of boasting and pride appear almost identical except for one thing. Boasting is feeling self-satisfaction about one's achievements, possessions or abilities but pride is to feel deep pleasure or satisfaction as a result of one's own achievements, qualities, or possessions. Have you ever said, "After all I've done for you, this is the way you treat me?!". Yep, that's pride. Ouch! Sadly, a version of this has been said to my kiddos so.many.times ("I've been cleaning this house all day and you guys come in..." - yeah, you get the rest). A truly loving, not prideful, person is aware that everything he or she has is an undeserved gift given to them by God. Can you imagine how many times a day God could say to us, "after all I've done for you, this is the way you treat me?". But, He doesn't. He loves us the way we should strive to love others. Haughty eyes and a proud heart— the unplowed field of the wicked—produce sin. I love this last verse. It's proof to us that our God is a forgiving and understanding Father. He knows we are going to blow this but he wants us to keep trying. Keep loving on others - practice makes perfect! Thanks again for stopping by! 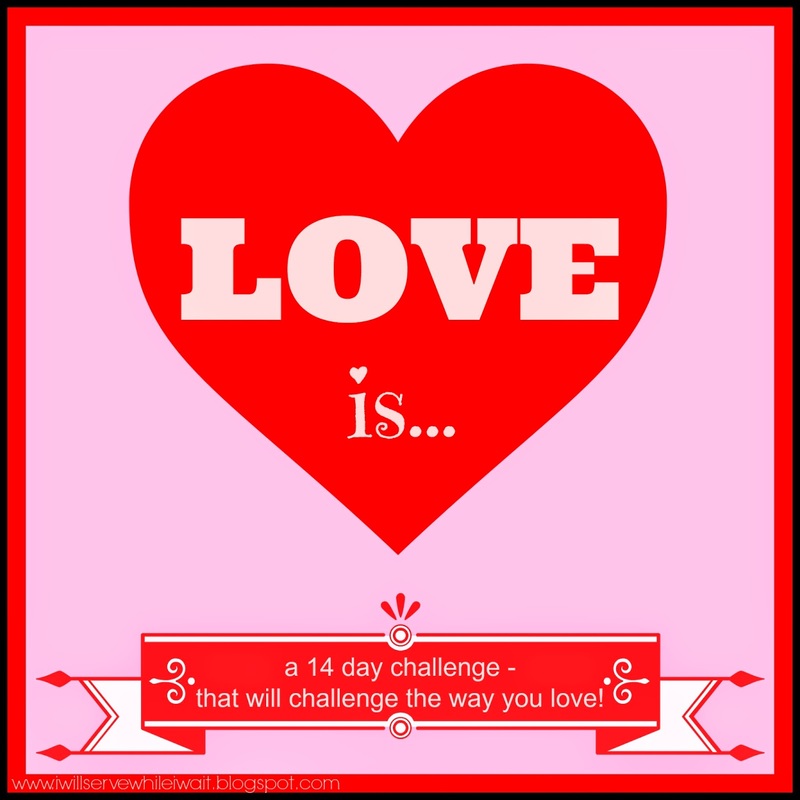 Tomorrow is love does not dishonor others. See you then! This is lovely and such a fabulous reminder! The scriptures you shared here really reinforce this point that love is not proud. Thanks so much for sharing and for linking up to the SHINE Blog Hop! Have a blessed day and I'll see you next week! 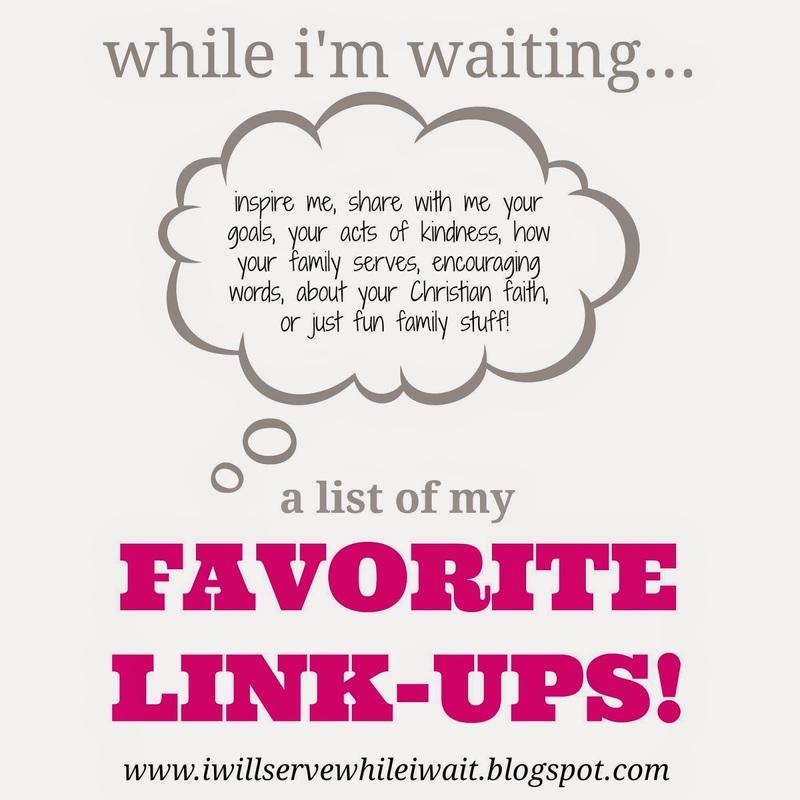 Thanks so much for sharing this with the Bloglovin' Blog Hop. This is an excellent series you're doing. Unfortunately I could absolutely hear myself saying "Do you know how hard I..." You definitely gave me something to pray about and work on. Thank you for your sweet words, Carrie Ann! Definitely something God has put on my heart. I thought I had an understanding of what all the love is stuff meant - I was so wrong! I've been convicted so much (but in a good way!). Thanks for stopping by! I hope you'll come back! Thanks, Jess! It's definitely given me lots to think about and work on! Hope you come back tomorrow! Great reminder. Thanks for sharing the Scriptures. Romans 12:16 is my favorite! Yikes...this love stuff is getting tough!! Thanks for breaking everything done in a way I can understand and relate to. You are so right...we always need to be aware of all the gifts God has given us...undeservingly so and use them to glorify him, not ourselves! Every day I think - come on, God! Don't make this so hard!!! :) But, I'm learning so much and am glad you are on this journey with me!